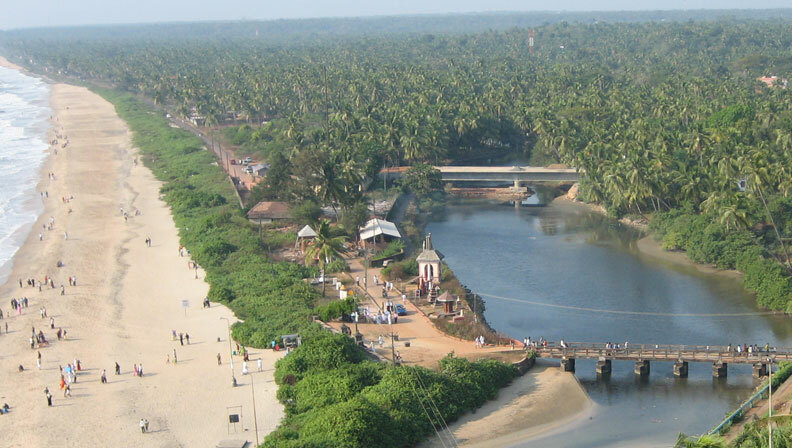 Get set to enjoy the mystic charm of Kannur, the land of looms and lores in Kerala, acclaimed as "Gods own country". Kanbay Beach Resort is located at the Heart of Kannur District. There are lots of tourist places in and around the Resort, which can be explored by guests. Local attractions can be visited at any time of the day, at the convenience of the guests. 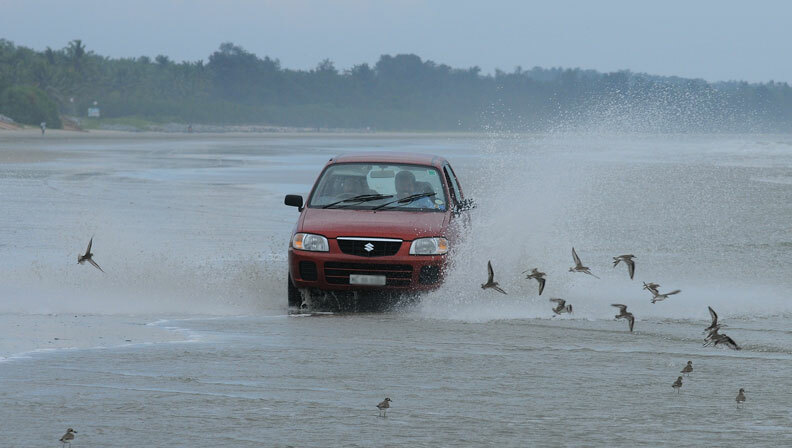 Muzhappilangad Drive-in Beach is the longest Drive-In Beach in Asia and is located parallel to National Highway NH-17 between Thalassery and Kannur at a distance of 16 Km from Kannur. The Beach festival celebrated in the month of Appril in this beach is one of the star attractions. 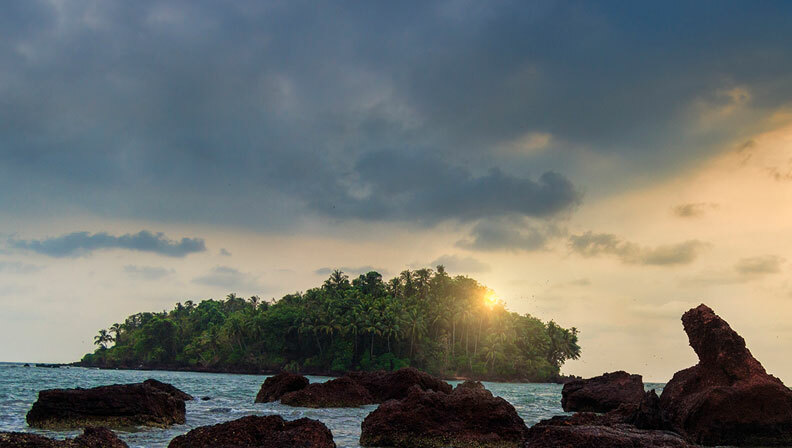 Dharmadom Island is an uninhabited island covered with coconut palms and dense bushes which sits beyond the confluence of Anjarakandy & Thalassery rivers. It is just 8km away from Kanbay Resort. It is set off from the mainland by rivers that surround it on 3 sides and the sea on its western side. Payyambalam Beach is the most beautiful and largest beach located in Kannur district of Kerala. The main attraction of this beach is a sculpture of Mother and Child crafted by Kanayi Kunhiraman in the Beach park. 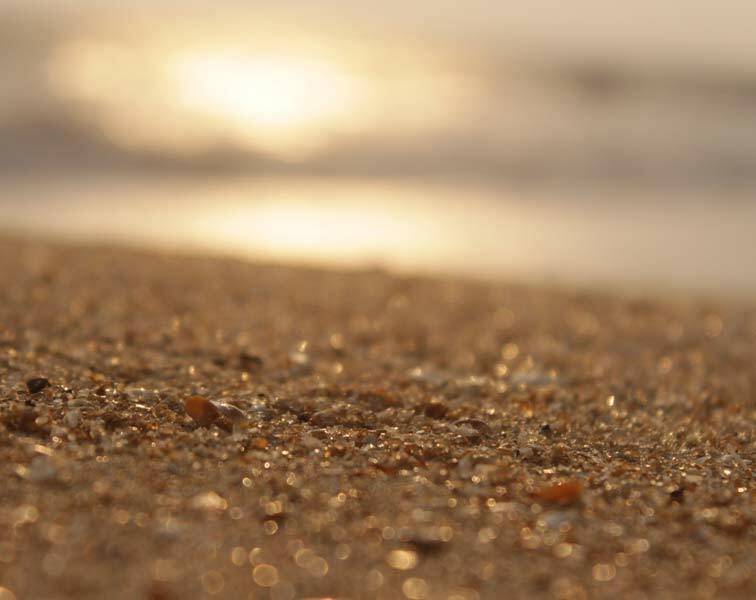 Payyambalam Beach is an ideal place to spend evenings, irrespective of seasons. It is about 8km away from Kanbay. After shifting the commercial capital to Thalassery from Kozhikkode, the British built the Thalassery Fort on a small hill called Tiruvellapadkunnu in the year 1700. 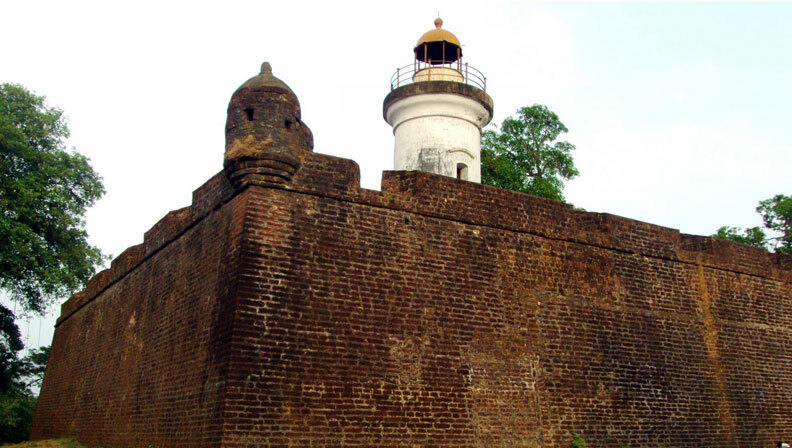 The fort is a square structure built of laterite and is well-known for its massive ventilated walls as well as strong flanking bastions and it is 10km away from Kanbay. 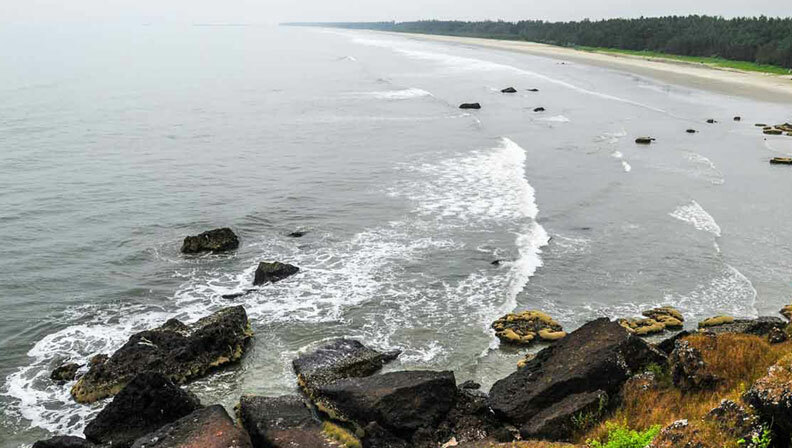 Meenkunnu Beach is located at the North Kerala village of Azhikode and is 19 kilometers away from Kannur town. Meenkunnu means hill of fish, in local vernacular langauage, indicating the strong fishing tradition of this place. Other than fisher folk, you will find very few people on this Beach. Sree Andalurkavu is a famous and prominent temple in Andalur in Dharmadam village of Kannur district, North Kerala. 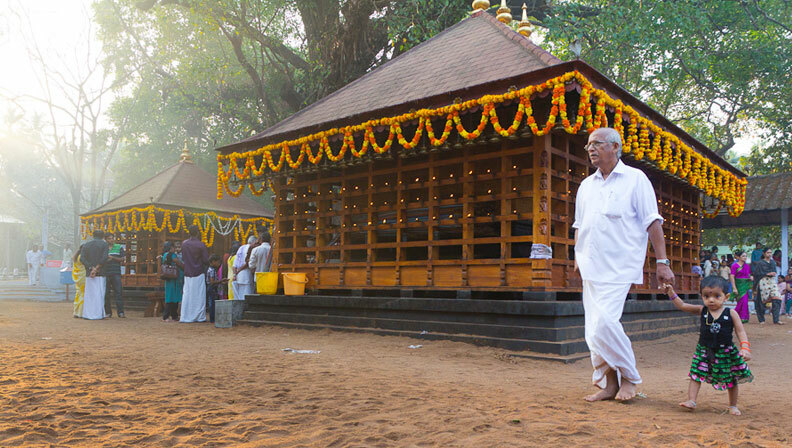 This old temple is in the name of Lord Rama and the main festival is celebrated in mid-February: the first week of the month Kumbam of the Malayalam calendar. 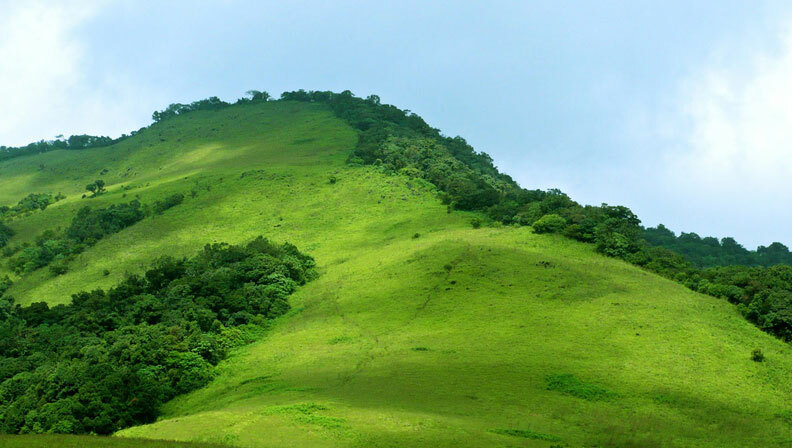 Pythal Mala is a charming hill station and is located at a distance of 65 Km from Kannur town. Pythal Mala is rich in flora and fauna. It is a 6 km trek to the top of the hills. It is situated 4,500 feets above sea level. The hill’s rather cool and salubrious climate, even during the summer season, has made it a popular destination. This monument was built by the first Portuguese Viceroy, Don Francisco De Almeida in the year 1505. This Fort St. Angelos is in a fairly good state of protection. 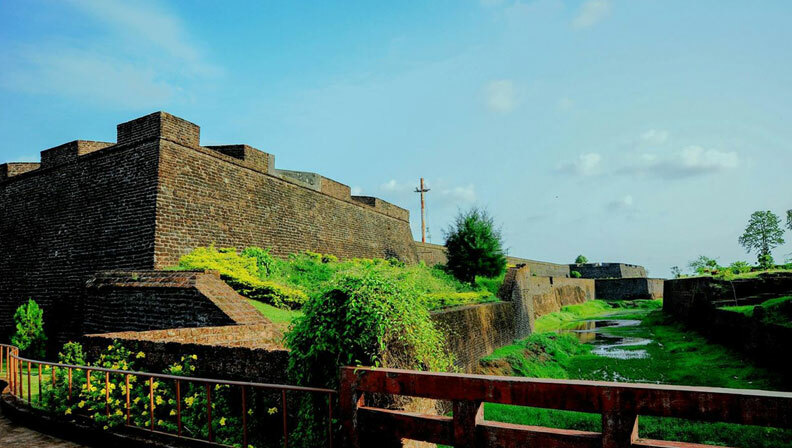 The fort is a protected monument under the Archaeological Survey of India (ASI) and is located in the west of Kannur town, 8km away from kanbay.